Curiosity landed on Mars last night. 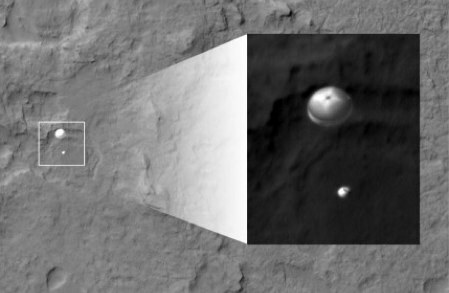 The relay station in Mars orbit caught this picture of the lander’s parachute, seconds before the landing. The lander also announced its arrival on the Martian surface on Twitter.